The institution that purchased typescript was the Free Library of Philadelphia, which, with its 61 locations, is the 13th-largest public library system in the United States. Chartered in 1891, its jewel is the Beaux-Arts Central Library which has stood on Vine Street near the Benjamin Franklin Parkway since 1927. The library boasts a venerable collection of original, and important, Wilde-related documents. 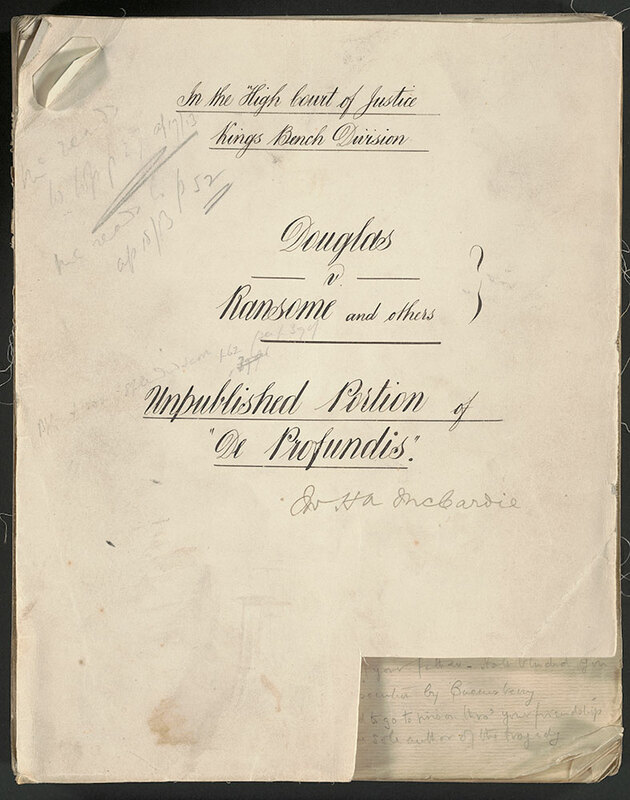 The aforementioned Ransome typescript (now digitized) is not only important as a historical document in itself, it adds to scholarship with manuscript case notes by Ransome’s lawyer, Sir Henry Alfred McCardie, and revealing marginalia by Ross in which he suspiciously exaggerates Wilde’s bankruptcy losses. I blogged about this at the time here. 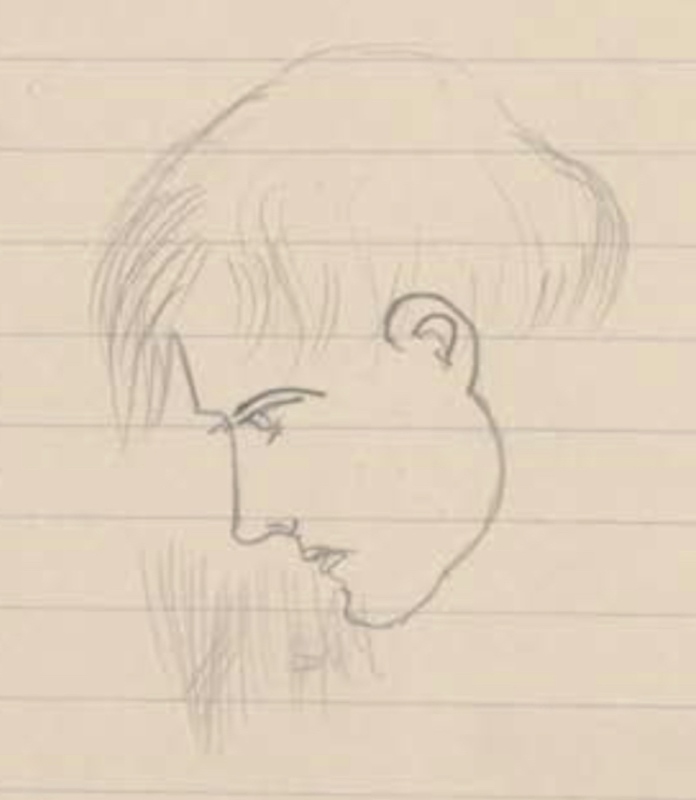 Among the other items is a 140 page notebook full of Oscar’s drafts and doodles some of which, as Margaret Stetz (who also discovered the seven veils notation) has pointed out, bear striking allusions to the name Lillie and sketches of faces resembling himself and his future ideal type. At the link below you will find the line up of all of these viewable (and downloadable) PDFs and more. If you’re grateful for the freedom afforded by Philadelphia to browse these documents, there’s a DONATE button at the top of their page. Very interesting. Thanks for the reminder of all the hidden treasures at the Free Library.